Key difference: DVR stands for "Digital Video Recorder", which is a general recording electronic device, while a Set Top Box is a television appliance, that enables the TV to explore and display the subscribed channels. A DVR is a digital recorder, which records the live video in the digital format onto the relevant DVD discs, or SD memory card and etc. It is used to record, save, and playback television programs. Its function is similar to that of the VCR and uses a hard drive. It is a general consumer device, and also sometimes referred to as a Personal Video Recorder (PVR). It is known to facilitate the features such as: disk recording, portable media players (PMP) with recording, and the camcorders that record into the secure digital memory cards. It’s an Application Software that records the video in a digital format to a disk device. In the DVR, the signal is already encoded in a digitally MPEG stream format. DVRs can also usually record and play H.264, MPEG-4 Part 2, MPEG-2 .mpg, MPEG-2 .TS, VOB and ISO image videos, with MP3 and AC3 audio tracks. It can display JPEG and PNG images, as well as play the music files, such as the MP3 and Ogg. It provides the desirable features like the consistent image quality and transferring of data to a computer, CD, or DVD, which proves it more advantageous in comparison with the other devices. The convenient search function helps users to quickly locate and view a specific scene that they desire to watch. There are DVR players available in the market, which are used in various fields. A Set-Top Box (STB) or Set-Top Unit (STU) is an informative and specialized type of television appliance device. These boxes are generally connected to the television. They work on an external source of satellite signals, and convert the received source signal to a displayable format. They are used in cable television, satellite television, and over-the-air television systems, as well as other uses. The set-top box makes a television set user friendly towards the Internet by enabling the television set to receive and decode digital television (DTV) broadcasts. It provides various different satellite range channels. Set-top boxes fall into several categories, from the simplest that receive and unscramble incoming television signals to the more complex that will also function as multimedia desktop computers that can run a variety of advanced services such as video-conferencing, home networking, IP telephony, video-on-demand (VoD) and high-speed Internet TV services. 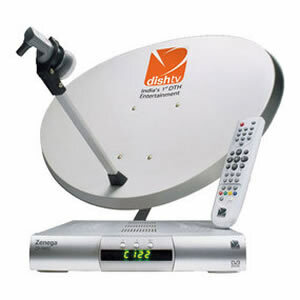 Nowadays, they are commonly available with the respective Dish TV, as Dish TV Set-Top Boxes. DVR is a general video recording device, which consists of a MPEG format video. Set Top Box is a box-shaped device that converts a digital television signal to analogue for viewing on a conventional set, or that enables cable or satellite television to be viewed. Their basic function is only to record and play. Their basic function is only to display the subscribed channels. They are not that user friendly in comparison to the Set-top box. They are more user friendly in comparison to the DVR. Set-Top Box (STB) or Set-Top Unit (STU). A DVR already has the encoded MPEG format pictures. A digital smart-box is a device used to decode incoming digital TV signals. The DVRs are available for everyone. The Set top boxes are available only to the desired customers. A DVR is applicable and used in many different ways according to the need of the user. A set-top box is a type of DVR. It does not require monthly subscriptions, as it displays only the recorded live videos. It requires a monthly subscription for the desired channels. Their popularity is increasing day-by-day.